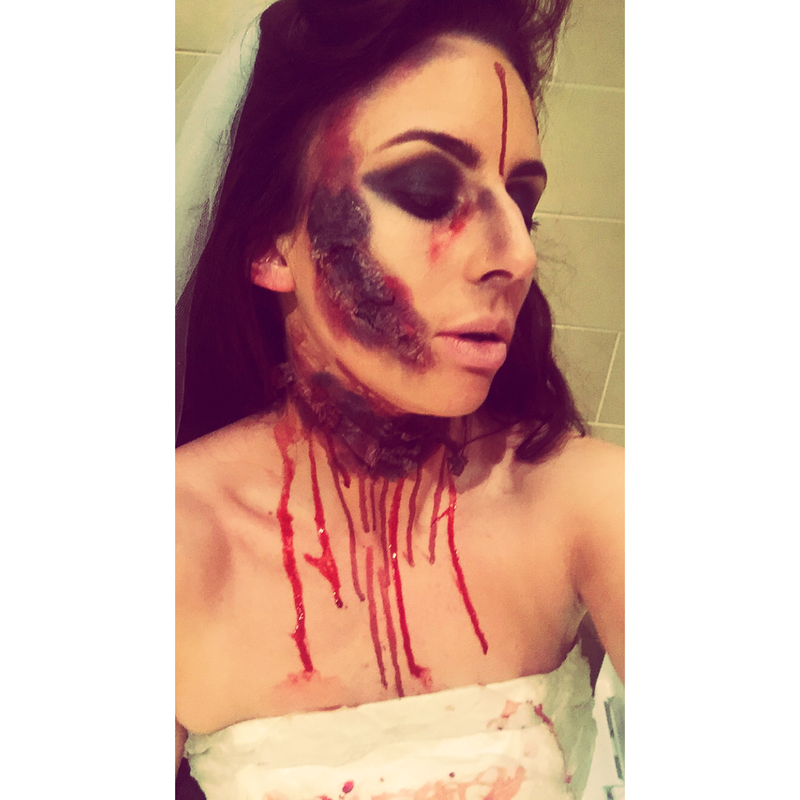 Halloween is 100% my favourite holiday; I love getting creative and putting my all into planning & making a costume. 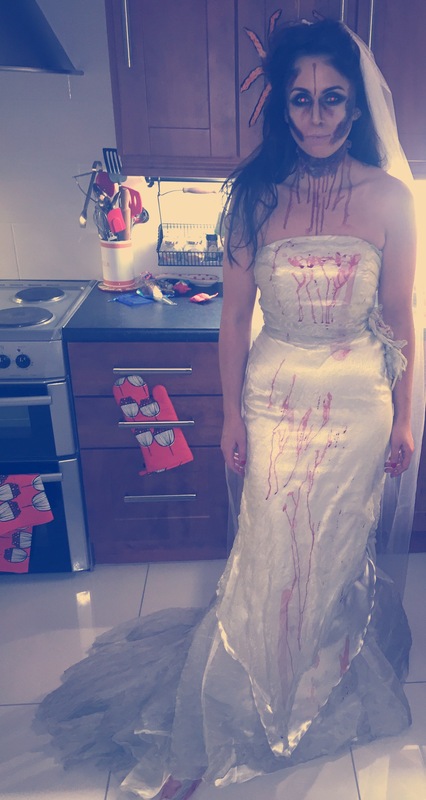 This year I decided to do a zombie/dead bride. Now it wouldn’t be me if there wasn’t a drama or 5…. By this stage I had already visited a vintage shop in Belfast and picked up theeee perfect dress for my costume. I was going to cut it up and zombify the dress myself but this wee gem came exactly perfect and how I wanted it. 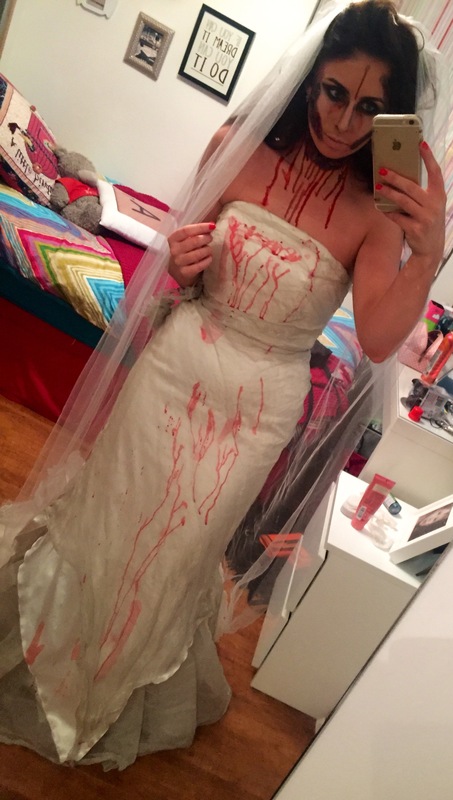 I got the veil off eBay for like £3. It was a little too long so I had to trim it a tad. 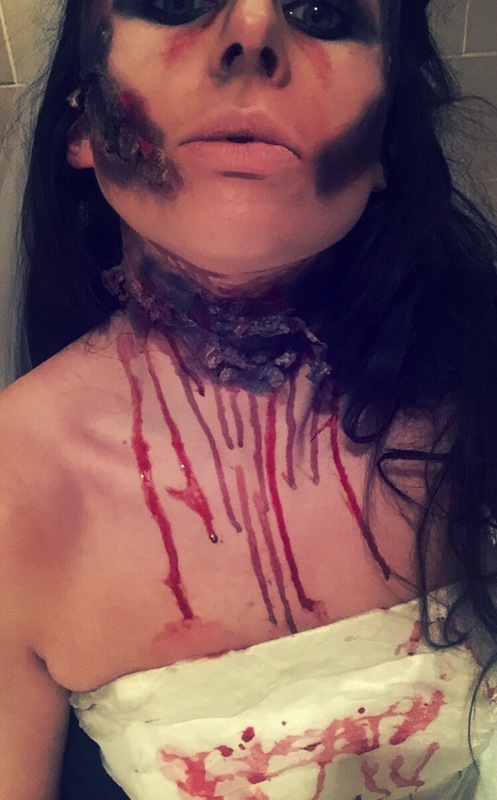 I knew I wanted to make my face as gory as possible; so using liquid latex, tissue paper and lots of blacks and purple eyeshadow I created the wounds. 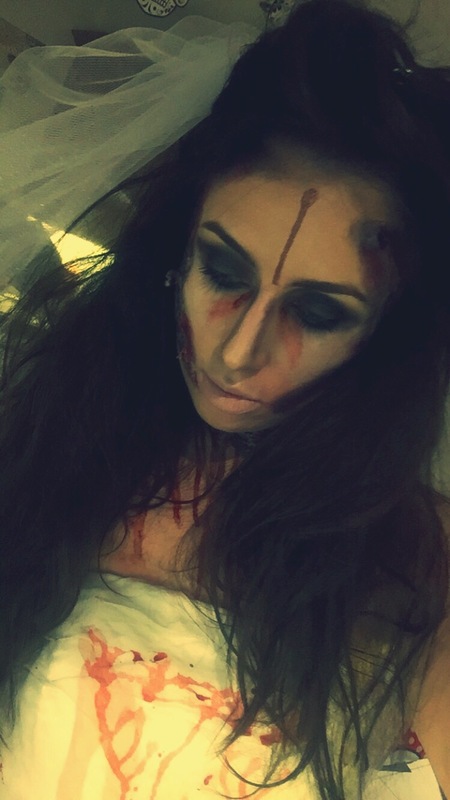 ….. And a tube of fake blood. This look was super fun to do & really quite easy! What did you gals dress up as? Do you like making your own costume?